Buy grocery items and get them delivered at your doorstep in just a tap. 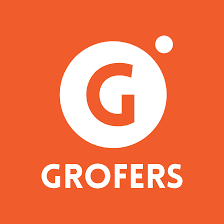 With easy payments, scheduled and convenient delivery Grofers is making it all smooth. Download the app on your mobile phones today and make the most of this deal. Shop for a minimum amount of Rs.500 and get a voucher worth Rs.100 on your purchase. How to steal the deal? Click here to visit the deal page. Offer is valid till 31st December. Offer is valid for online payments only. Only first time app users can avail this offer. Available in over 26 cities across India. Get a new collection of clothings to fill in your wardrobe with Jabong Winter collection offering with a discount upto 30%. Shop now with latest collection of Jabong for both men & women apparels and get Rs.400 off on your minimum shopping of Rs.1299. Avail this offer now before its too late to choose stuff of your choice. Offer is valid till 31st December. Go to Jabong offer page. Select your clothings and add to cart. Offer valid from 1st Dec 2015 to 31st Dec 2015. Offer is valid on minimum purchase of Rs.1299. Coupon is valid only when payment is made via Oxigen wallet. Discount is offered on limited items only. Maximum discount available upto 30% only. Cashback will be deducted in case of partial/fill order cancellation. Flat 100% cashback on your first books order at Snapdeal. Explore your knowledge with variety of books available only on Snapdeal. Avail an exclusive offer on Snapdeal where you can get 100% cashback on your first order of books. Check now your favorite books available on Snapdeal online shelf. Place an order and get a maximum cashback upto Rs.500. Place your order now as the offer is valid for limited period. Go to Snapdeal offer page. Select your books and add to cart. Place your first order of books. You will get 100% cashback on your wallet. 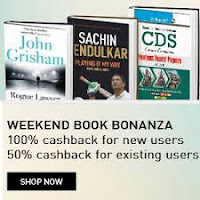 Maximum cashback upto Rs.500 (100%) applicable for first books order. Maximum cashback upto Rs.250 (50%) applicable for returning order. Cashback can be used for further shopping, recharge, bill payments on Snapdeal. Get your new collection of books now only with Snapdeal !! Enjoy your Friday with Domino's Buy 1 Get 1 (BOGO) offer. Buy any medium or large pizza of your choice and get another one free. 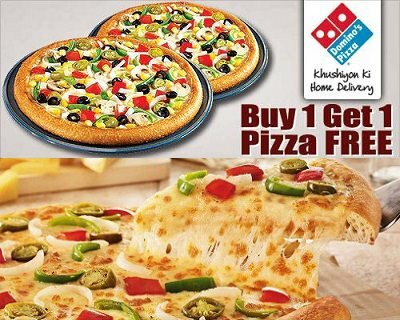 Order Your favourite pizza now and enjoy this super saver offer only at Dominos. Offer valid for today only. Go to Dominos offer page. Select your 2 favourite medium or large pizza and add to cart. You will get an extra pizza free with 1 medium or large pizza. You can also get an extra cashback of 30% by making payment through Paytm wallet. This coupon is valid for today only. Applicable for online orders, through mobiles or in-line stores. Offer is not valid for regular size/simple pizza mania combos. Home Delivery within 30 min is not applicable for this offer. Order now as the offer is valid for limited period!! !